Gareth 'Alfie' Thomas is a former British Lions captain, who represented Wales at both Union and Rugby League and broke 40 bones during his playing career. He was also the first professional rugby player to publicly announce that he was gay and has proven himself in sport and in life to be totally fearless. Except for one thing. He is terrified of heights. Any heights. The hard man of the rugby field can't even a climb step ladder without being crippled by anxiety. And he hates flying too. But for Sport Relief this year he will face that fear by agreeing to take part in a very special parachute jump. He will take to the air with a team of skydiving OAPs - each of them first-time jumpers and everyone of them committed to showing that age and fear is no barrier to taking on a challenge. 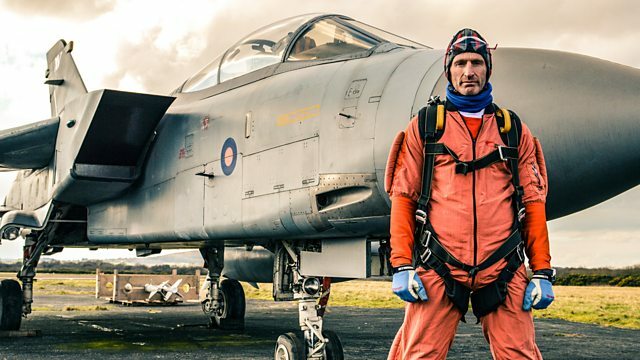 Their coach is 85-year-old Welsh wonder Dilys Price, the world's oldest female skydiver, and its her job to get Gareth to conquer his fears - coaxing him through ever more terrifying height challenges and ultimately the big jump itself. Meanwhile, his new teammates give him an insight into their lives and how growing old can be the biggest challenge of all.